The current generation Triumph Bonneville only seems to be getting stronger each year. Triumph currently has as many as 9 different models in the Bonneville family, internationally at least, and it now set to add a tenth member. The Triumph Speed Twin, as it will be called, is ready to be launched and will be showcased to the world on December 4, 2018. You could call it a street fighter version of the Thruxton/Thruxton R, as the Speed Twin will essentially borrow sporty bits like the suspension, chassis, powertrain and more from the Thruxton while looking a lot like the entry-level Bonneville, the Triumph Street Twin. The Triumph UK website currently features a teaser of the bike which highlights its new, distinct looking LED daytime running lamps along with the silhouette of the motorcycle. Triumph has however showcased the motorcycle to a select few and here is what the 2019 Triumph Speed Twin will look like. 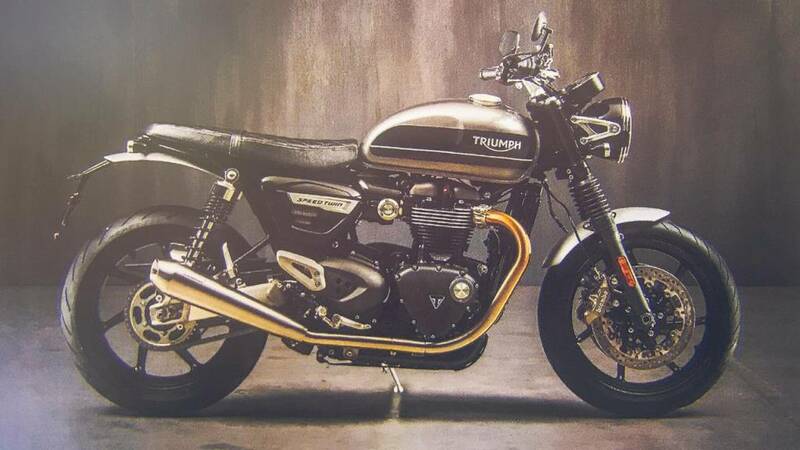 It will be powered by the same, liquid-cooled, 1,200cc parallel-twin engine which also currently powers the Triumph Scrambler 1200, Triumph Bonneville Bobber, Triumph Bonneville Speedmaster, Triumph Bonneville T120 and the Triumph Thruxton R. The engine is in the highest state of tune in the Thruxton/Thruxton R where it offers 97PS and 112Nm. We expect the engine to be carried over directly from the Thruxton given the 'Speed' in the bike's name, though power and torque curves could be altered slightly, given the Speed Twin's more comfortable seating position and practical approach. On the electronics front, we expect the Speed Twin to come equipped with switchable traction control, multiple riding modes along with ABS. Additionally, it could feature a quickshifter as well, while the instrument cluster could be the new unit seen on the Scrambler 1200. 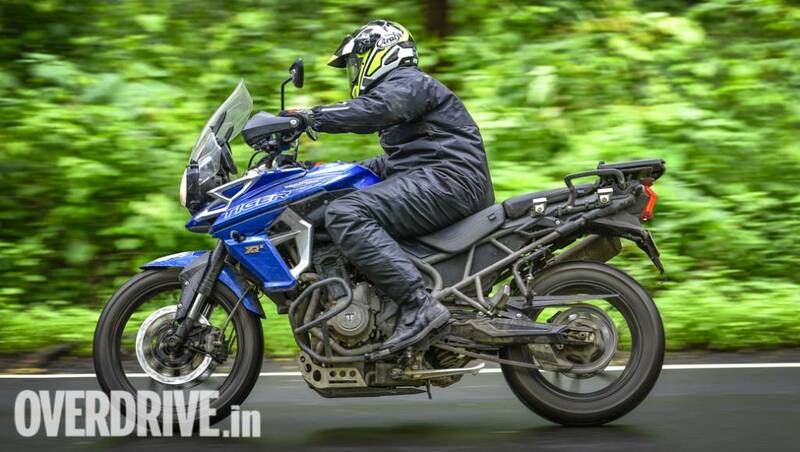 Triumph India is yet to confirm officially, but OVERDRIVE has learnt that the Speed Twin will be launched in India. The launch date isn't clear yet but we expect it to be launched in the second half of 2019, after the launch of the updated, 2019 Triumph Street Twin and 2019 Triumph Street Scrambler. Stay tuned, as we will bring you more details about the bike post the official reveal on December 4. In other news, Triumph Motorcycles has completed five years today in India. The company mentions that India continues to be strategically important for Triumph globally, with one of its four global manufacturing/ assembly bases located in India at Manesar. The CKD facility at Manesar is central to the strategy of Triumph in India with current CKD contribution to business above 90 percent. Shoeb Farooq, General Manager, Triumph Motorcycles India Pvt Ltd, said, "We are thankful to our partners, customers, enthusiasts and fans for all our accomplishments in these five years. For Triumph, the growth has been phenomenal in the last five years. Our aim is to further grow 10-12 per cent each year going forward. We are entering our sixth year in India with a very positive outlook and before June 2019, we plan to launch six new products. It would be a mix of new and facelifts of the current models. We intend to further expand the sales network from the current 16 dealerships to 25 over the next three to four years. The spread and contribution from smaller towns is increasing and we expect the tier II towns to propel the next leg of growth in the industry. India continues to be an important market for Triumph globally."